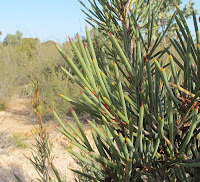 This species has leaves to 10 cm (4”) in length that are rounded and very sharply pointed, requiring careful handling to avoid being pricked. 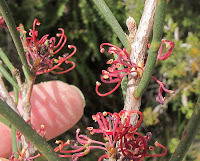 When not in flower it could be confused with other Hakea spp. 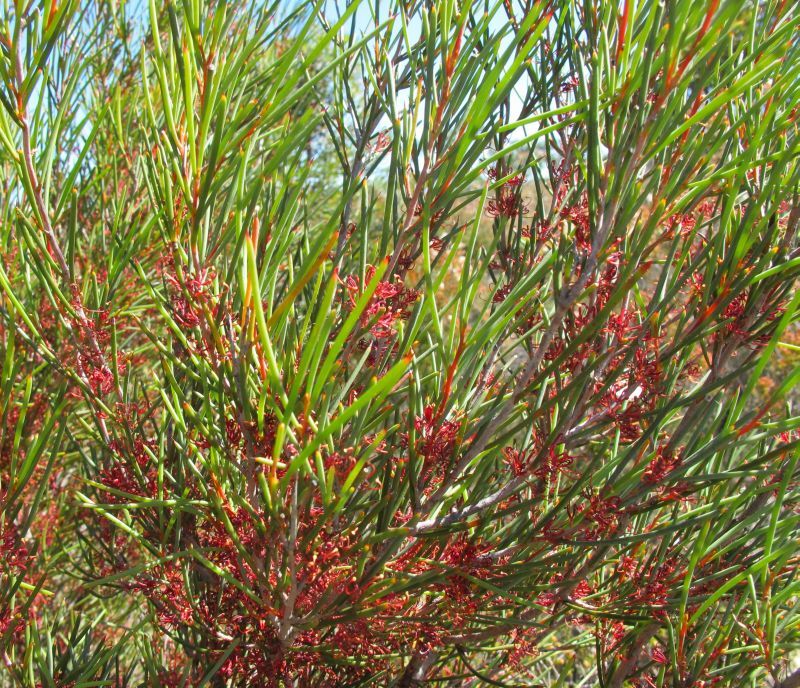 or a Daviesia that have similar leaves, thereby permitting it to blend imperceptibly into the environment, unless the seed capsules (fruits) are spotted. 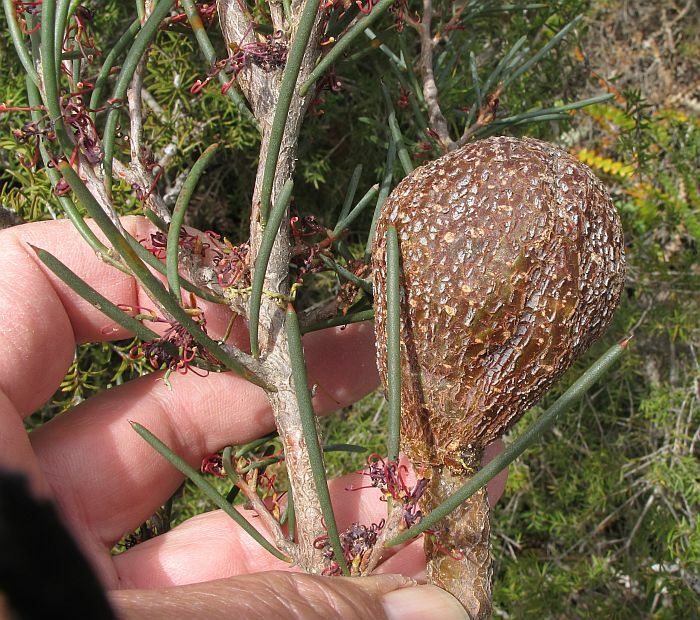 These fruits are very large and quite unlike any other, being smooth, oval shaped and about the size of a golf-ball, plus produced on a thick stalk, which is surprising considering the small size of the flowers. 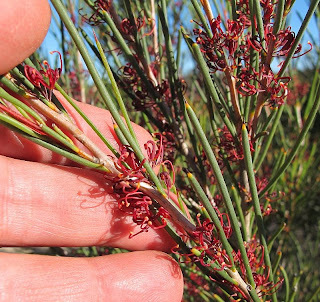 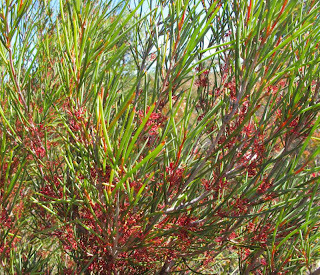 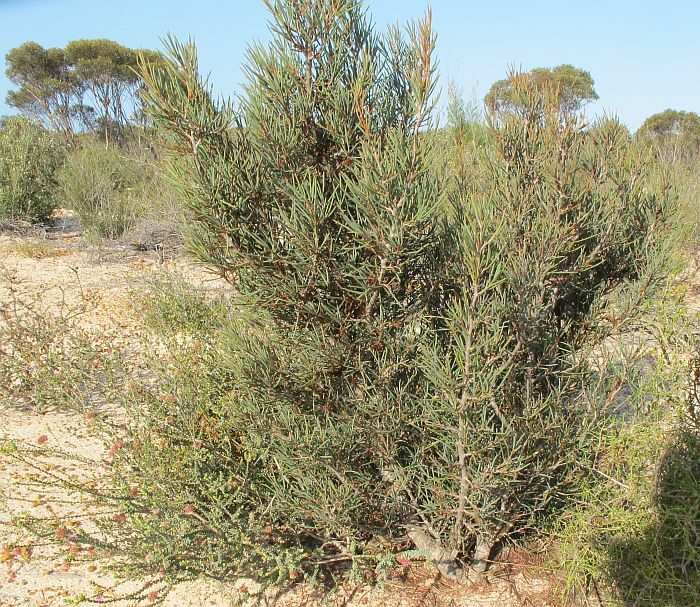 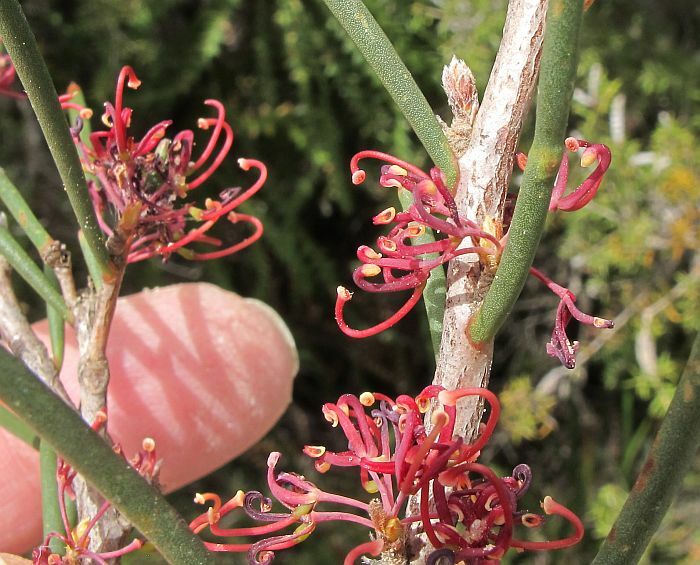 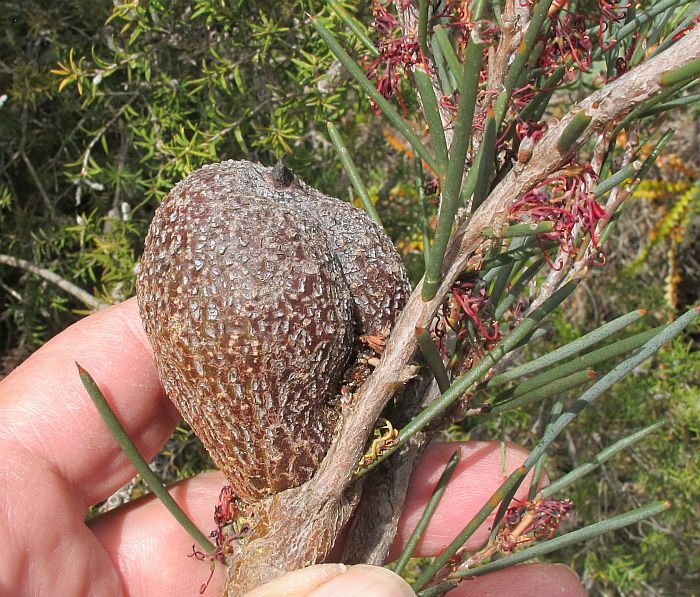 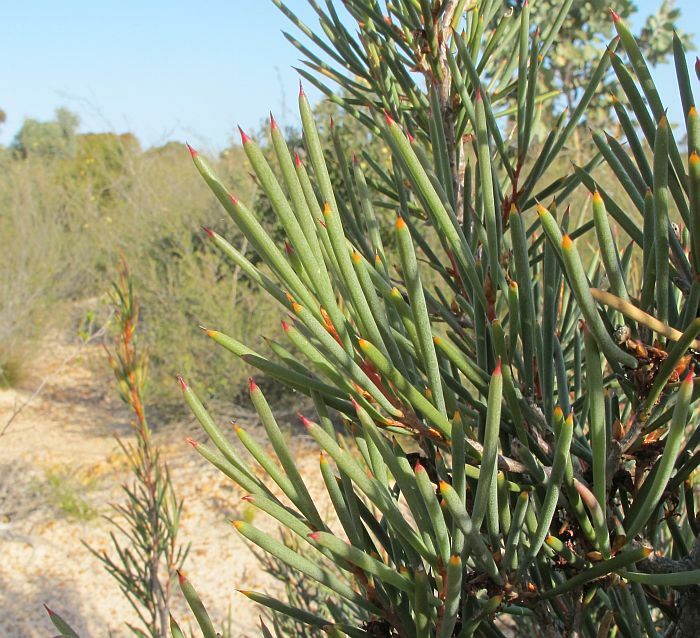 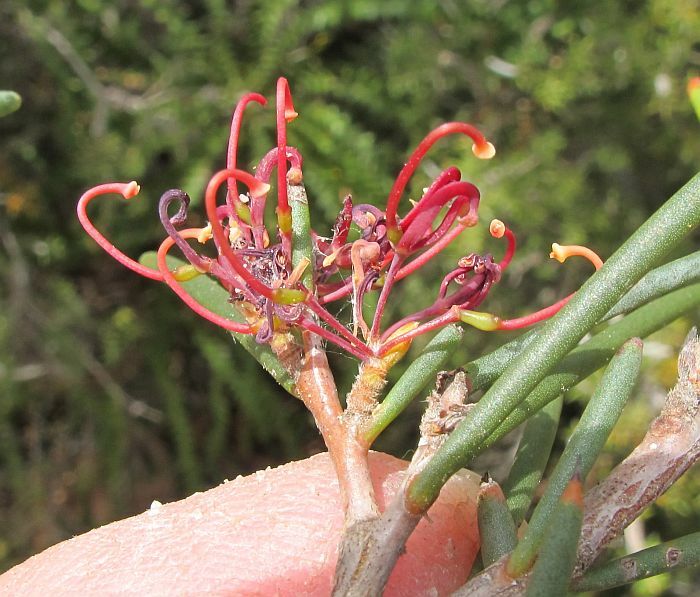 Hakea strumosa is not common in the Esperance region, with its most easterly distribution to the north of the town. It is more common to the south of Lake Tay around 140 km (85 miles) NW of Esperance and becoming more so further west in the Stirling Range and then north, to the east of Perth, preferring sandy loams over gravel. The flowers are red and held in clusters on mature woody branches, the perianth (petal-like in this instance) open wide and quickly fall leaving only the style with the ovary at its base. 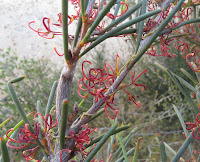 A few flowers above still have the perianth, but I was a few days late and most had dropped by the time I arrived. 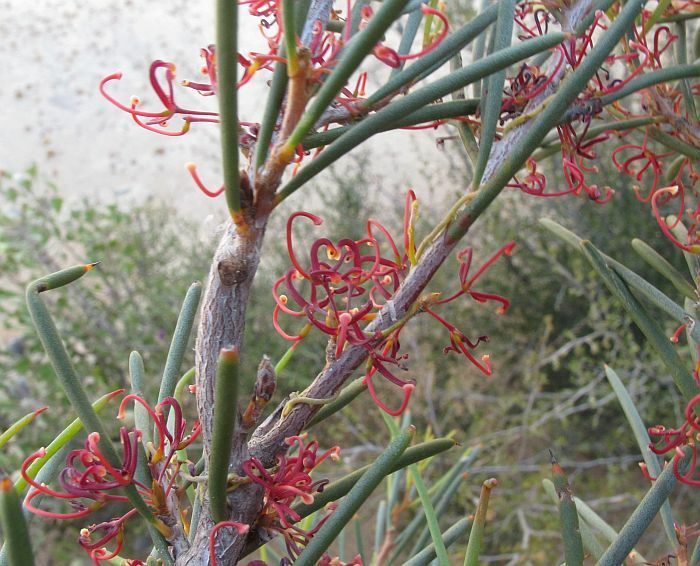 The stiffly upright shrub grows to 1.5 metres (5’) in height and is moderately bushy, it usually flowers in the September/October period, but as they tend to bloom together, you need to be lucky to catch them in full flower as they can finish abruptly. 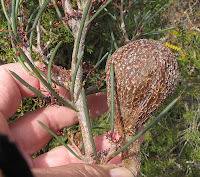 On plants seen relatively few fruits are produced, which may reflect the reserves of the plant required to produce such large woody capsules, rather than any lack of pollinating birds. Two photographs added and one removed.